With the devastation caused by Hurricane Harvey and Hurricane Irma, countless vehicles have been inundated and ruined by floodwaters. Thousands of owners have been forced to abandon their cars during the storms, leaving them behind for others to salvage. 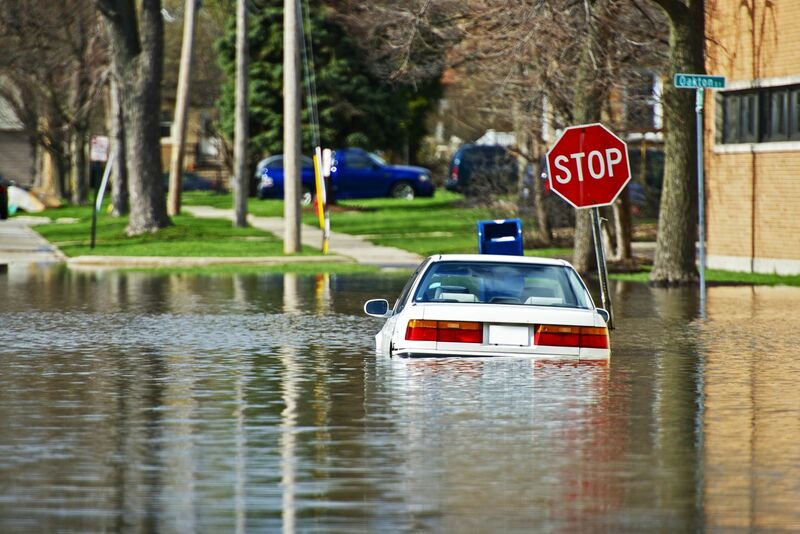 Seawater and floodwater can cause irreparable damage to a car and make it very expensive to restore. In addition to the obvious damage done to upholstery and carpeting, flood water is a corrosive mixture of water, minerals and sometimes salt, that virtually gets in everywhere, damaging electronics, wearing away wires, and ruining other systems. A damaged electrical system can cause a life-threatening situation if it causes the systems controlling the car fail. Some of these damages may not be apparent for months or even years. These flooded cars will eventually make their way into the used car market throughout the United States. Some will no doubt be offered for sale in Georgia. It is not too difficult for a scammer to buy a flood-damaged car, clean it up, and offer to sell it to you for a steal of a price. Before you buy that used car at an unbelievably low price, do your research to ensure that you’re not stuck with a car that looks great on the outside, but is slowly dying on the inside as a result of corrosion and mechanical system failures. Never doubt, always “facts” it out – Use VINCheck, which is a free database that allows prospective car buyers to check a vehicle identification number for flood or accident damage. It’s also essential to check the title history of any used car you’re considering through a service like AutoCheck or CarFax, which also allow you to see if it’s been reported as having been flooded by the previous owner. Use your 5 senses – Mold and mildew can have distinctive smells, so check to see if the car’s carpet or upholstery smells of mold or mildew. If the carpeting smells musty or looks moist, it would be a good idea to also check underneath for stains, rust or mold. Use your eyes to see if the interior is discolored or washed out. Like your senses of smell and sight, your sense of touch is important as well. Use your hands to locate moisture and, if you’re able, peel back the carpet to see if you can feel any. Also remember to open the trunk and monitor the carpet there. Water tends to collect in the trunk so make sure to lift the spare tire and check underneath for moisture and rust as well. Check the engine oil’s color and viscosity. Oil in a flood-damaged vehicle will be a color and consistency that is sometimes compared to coffee with milk, and may feel sticky to the touch. ALWAYS take a used car for a drive. If you notice any smoke or clunky noises in a vehicle from a recently flooded area, then these are likely signs that it was damaged by water. Have a mechanic check under the hood – If you’ve read this blog for any amount of time, then you know that we always advise that you have a mechanic inspect any used car before you buy it. Ask the mechanic to look for any dirt, mud, or water residue. Ask him or her to check for rust in behind wiring and other spots that may get overlooked. 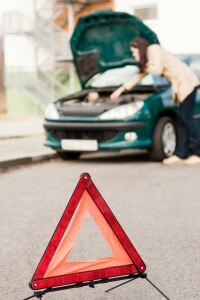 The mechanic should also look for any signs of water condensation in the headlamps, taillights, or overhead dome light. If any of these are present, it is best to walk away from that potential headache. Why You Should Never, Ever Cosign for Anyone, Ever. The dealership sold my trade-in car and took their car back. Now I don’t have a car!